9/11 RESPONDERS WITH RARE CANCER DENIED INSURANCE COVERAGE! It seems like the almighty Obamacare would cover this right? (CNN) — John Meyers remembers standing at ground zero, feeling like a small speck amid mountains of debris. 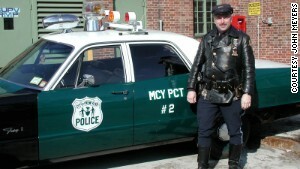 John Meyers was a first-responder with the New York police in September 2001.